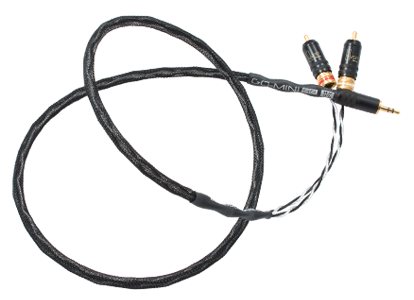 To facilitate the connection of an iPod®, MP3 player, satellite radio or even a computer to your home stereo system Kimber Kable developed the GQ Mini series of multi-purpose cables. The GQ Mini cable has the additional option of a mini plug on one end and another on the opposite. DUT: GQ Mini HB 1m terminated with 1/8" mini standard plug and Ultraplate RCA type connectors.